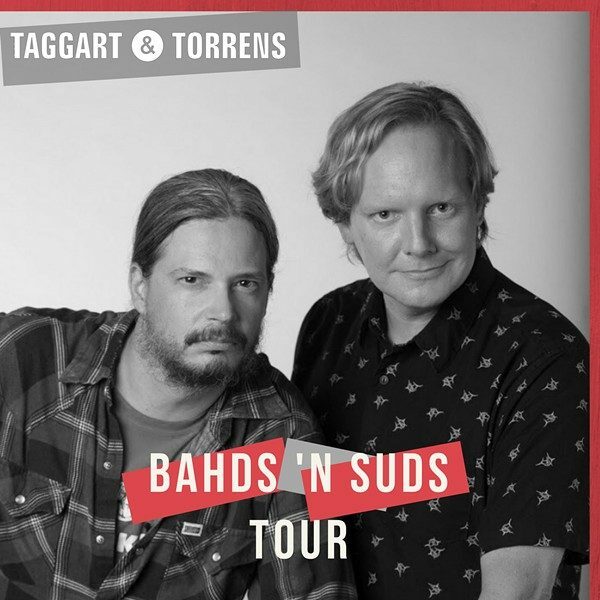 Home / Events / Comedy, Concerts, Upcoming Event / 8pm – Taggart & Torrens: Bahds ‘n Suds Tour. 8pm – Taggart & Torrens: Bahds ‘n Suds Tour. cheap viagra 100mg Taggart & Torrens: Bahds ‘n Suds Tour. order now JEREMY TAGGART was the drummer of the Canadian rock band Our Lady Peace for 21 years. He has also worked with a number of other high-profile Canadian musicians including Tom Cochrane and Geddy Lee in addition to mentoring and doing production work with numerous younger bands like Arkells and Van Damsel. The Toronto native lives north of the city with his wife Lisa and their 3 children. buy now JONATHAN TORRENS is best known to TV audiences as J-Roc the would-be rapper on Trailer Park Boys. He’s also appeared as a regular on Street Cents, Jonovision, The Joe Schmo Show and Mr. D in addition to guest appearances on This Hour has 22 Minutes, DeGrassi and Royal Canadian Air Farce. He and his wife Carole live with their two young daughters in rural Nova Scotia. Together, Jer and Jono form TAGGART & TORRENS the successful podcast duo, recently surpassing the 2 million downloads mark on iTunes and SoundCloud, The podcast and touring live show is a celebration of Canadian culture through a cocktail of fond reminiscences and ridiculous party games that get the audience playing and laughing along. Their book Canadianity: Tales from the True North Strong and Freezing is out October 17th, 2017 published by HarperCollins.